Maybe now I can finish this day out in peace. Hmm. Looks like I will need to disguise myself if I’m going to proceed further with my plan. I know! I’ll disguise myself as a new teacher! Then I will have access to Edivate. Yes. My name is ... um ... Jumpman, Mario Jumpman. I’m a new teacher here. I need an account for Edivate. MWUHAHAHAHAHA! Ooops. I mean, mwuhahahahaha. Add Mario Jumpman to Kuleana Academy as a new user using the email mjumpman@kuleanaacademy.org and a password of pd360. Scroll down by clicking anywhere on the screen. Type Mario in the First Name box. Type Jumpman in the Last Name box. Type mjumpman@ kuleanaacademy.org in the Email box. 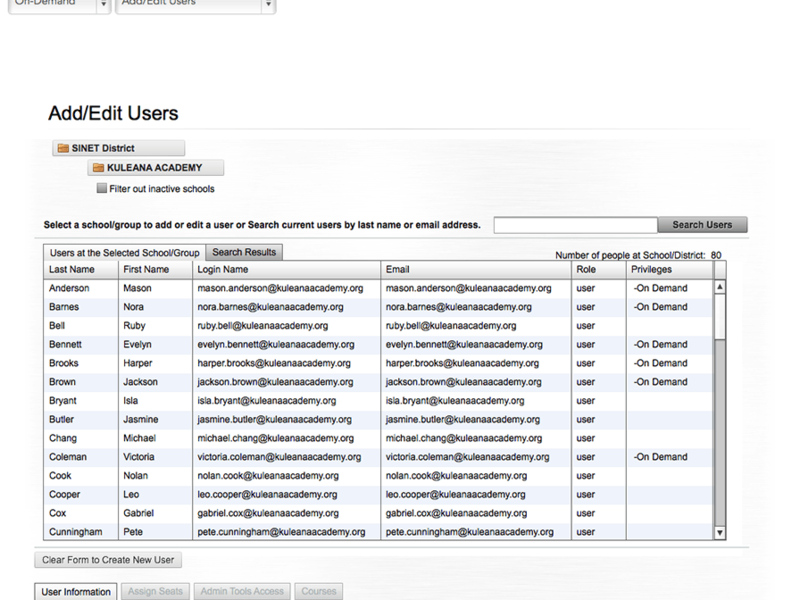 Type mjumpman@ kuleanaacademy.org in the Login Name box. (Most of the time this will be the same as the user’s school email address). Type pd360 in the Password box. In the Available Licenses table, select the EES 360 and CC 360 check boxes to assign these licenses to the user. Click OK on the Success dialog box. Very good. You created a new user. If you need help with a step, click Show to highlight the area. Novice mode if you need step-by-step instructions as you go along. Ninja mode when you only need the description to complete the practice. The Alternate ID box is a way to help differentiate between users with the same name by entering in a local district or school number. Search for Mario Jumpman's last name and add his alternate ID of 12345MJ. 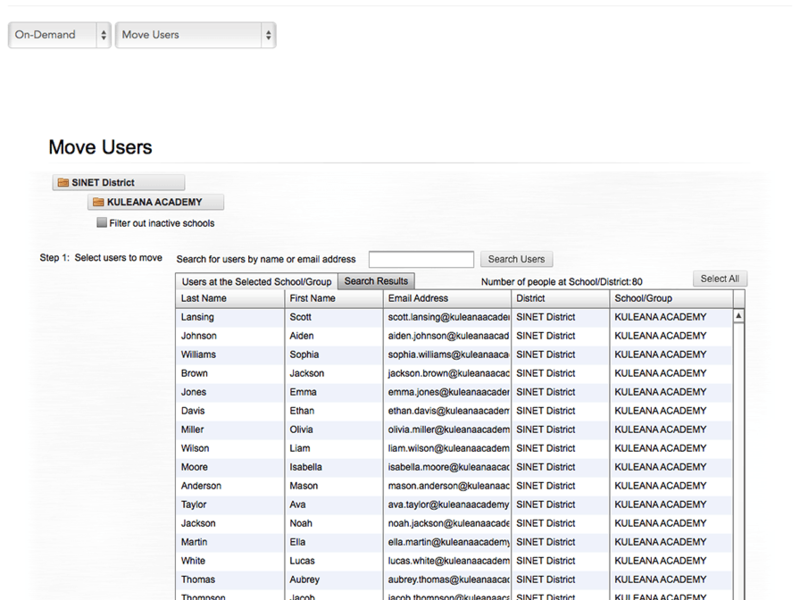 Search for Jumpman in the Search Users box. Type the Alternate User ID of 12345MJ in the ID# box. Something seems oddly familiar about Mr. Jumpman. So sorry, I don’t teach at Kuleana Academy. I’m actually at the high school. Okay, no problem. I’ll just move your Edivate account to the high school. My evil plan is working brilliantly! Move Mario Jumpman from Kuleana Academy to SINET High School by searching for his last name. Type Jumpman in the search box and click Search Users. Click Mario Jumpman in the table. From the Select District menu, click SINET District. 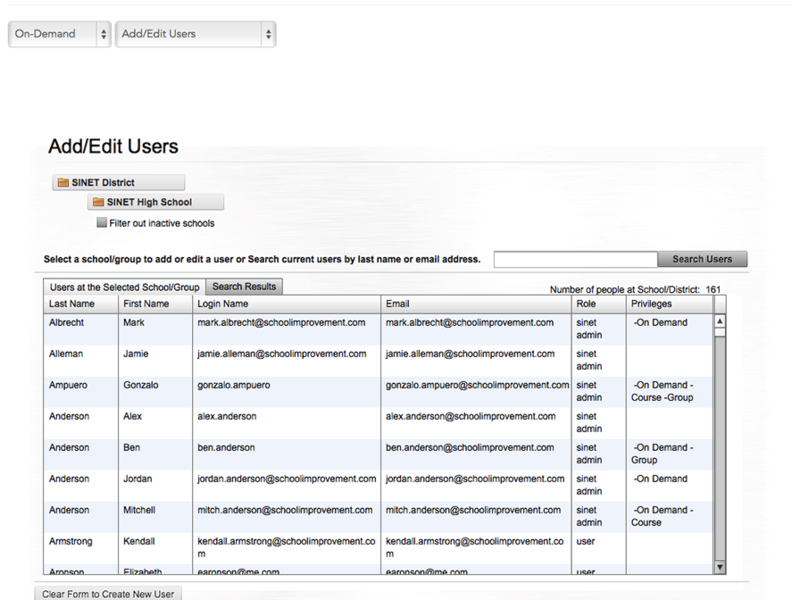 From the Select School/Group menu, click SINET High School (the school where the user is moving to). Nicely done. The user is now in the new school. Hold on. Wait a minute. You look kind of familiar to me. Do I know you? Wait! I know who you are! You are Maniacal Squirrel! You can’t have access to Edivate! I’m deleting your account right now! No! My evil plan will be ruined. Delete Mario Jumpman's account from Edivate. Deselect any assigned licenses before you delete the user. Excellent. The user is now removed from the system. Nice try, Maniacal Squirrel. 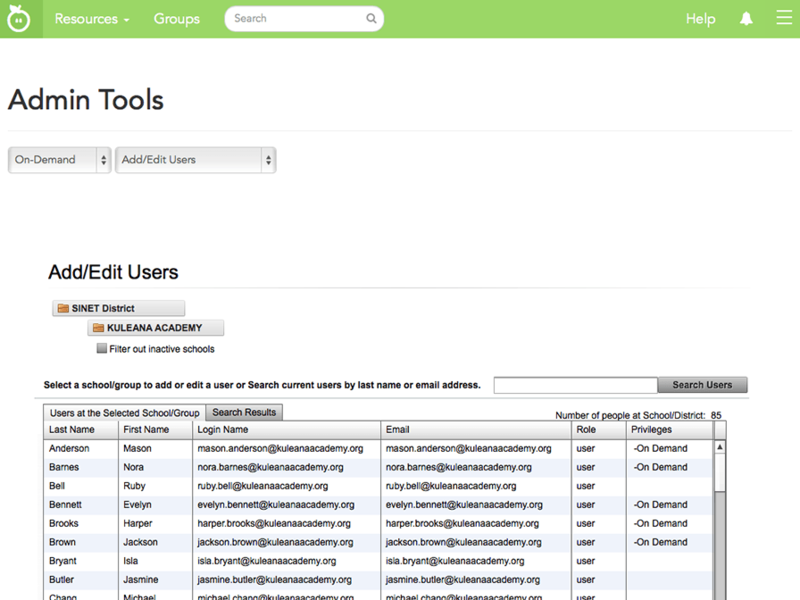 Fortunately, user management isn't that difficult in Edivate. Double drat! You haven't seen the last of me! © School Improvement Network, LLC All rights reserved.